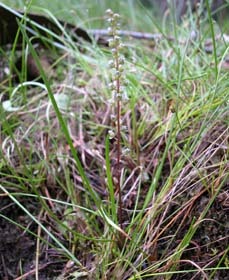 Tasmania has seven native species of Triglochin. 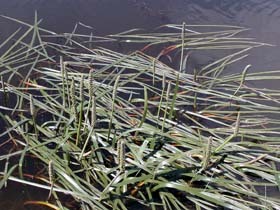 These are all aquatic or semi-aquatic, occurring in rivers, pools and estuarine areas (including saltmarshes). 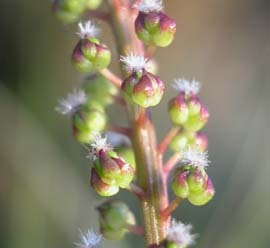 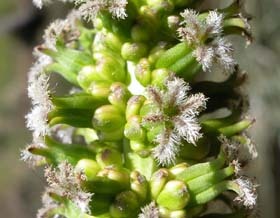 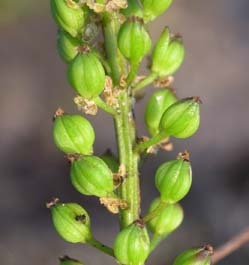 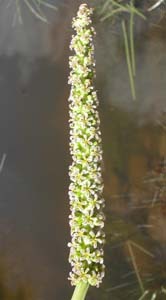 They are typically tufted plants with more-or-less succulent grass-like leaves, and erect terminal spikes of small flowers. 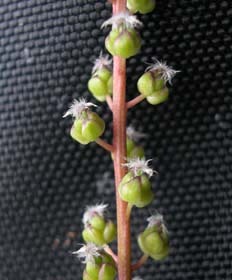 The larger, fully aquatic species (T. procerum, T. alcockiae and T. rheophyllum) are called water-ribbons. 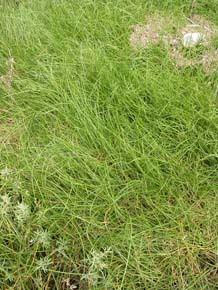 The smaller, semi-terrestrial species (T. minutissima, T. mucronata, T. nanum and T. striatum) are called arrowgrasses.